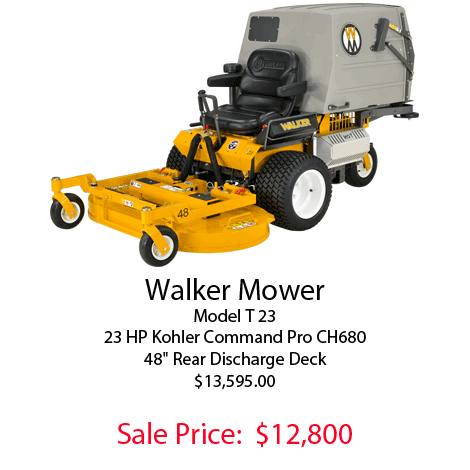 and Farm Equipment Sales, Inc. 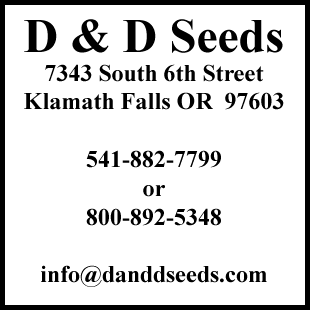 Although we generally stock many types of seed appropriate for the Klamath Basin and surrounding areas throughout the year, we are able to supply nearly any variety you want to plant wherever you are. 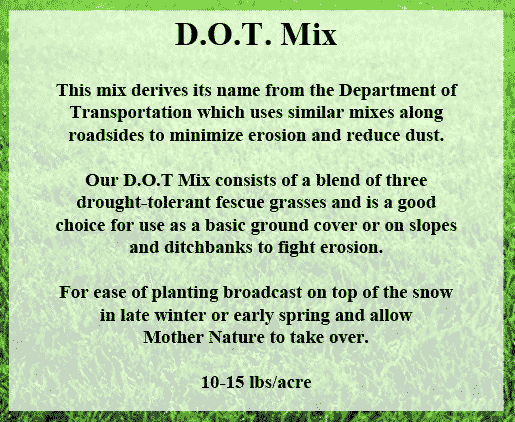 Custom mixes are no problem but usually require a minimum order to make it cost-effective for you depending on your mix. 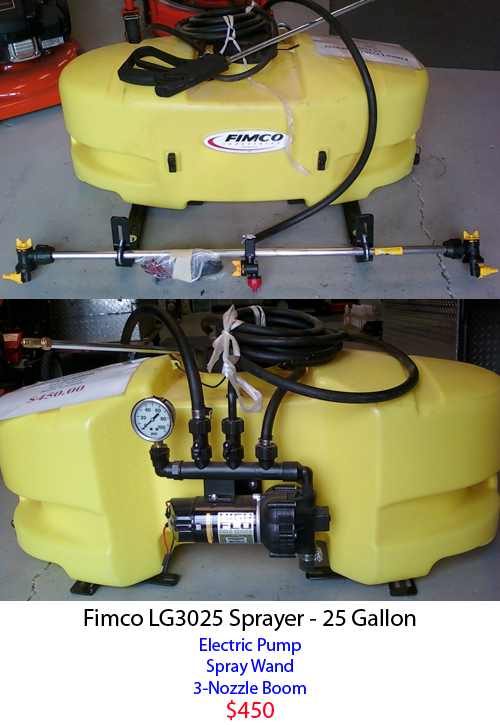 Water shortages, whether natural or man-made, are a serious challenge. 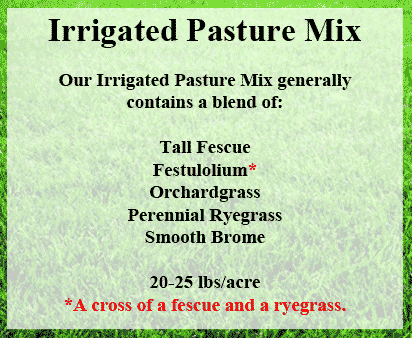 However, planting alfalfas, grasses, and grains adapted for dryland farming and at lower seeding rates is always an option. 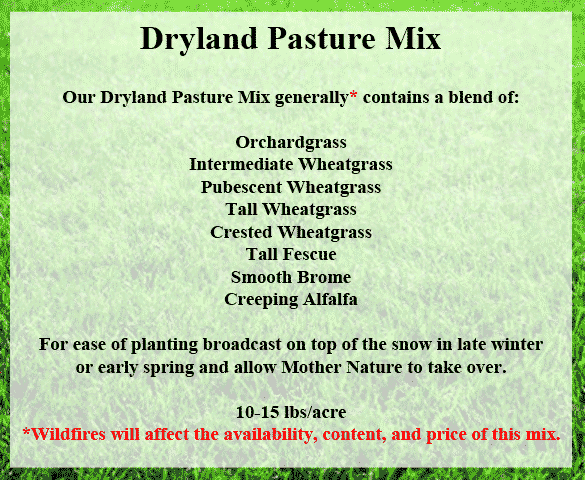 Our Dryland Pasture Mix is very popular, and if you can get any water on it during the driest parts of summer it will stay productive longer. Organic farming has become increasingly popular and we can provide you with some guidance and untreated seed to get you started. 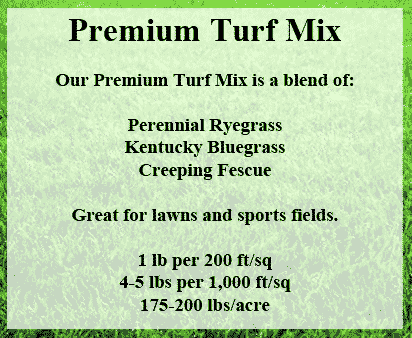 For the homeowner we carry an area-adapted mix of lawn seed and wildflowers that add a nice touch to your landscape. 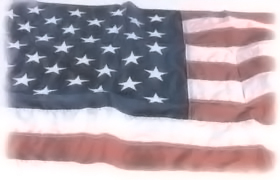 Seed prices and availability can fluctuate dramatically from year to year or even month to month. 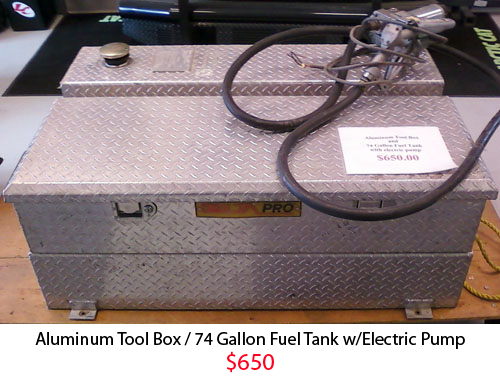 Check with us before you plan to plant and we will help you book your order at the most appropriate time and best price we can offer. 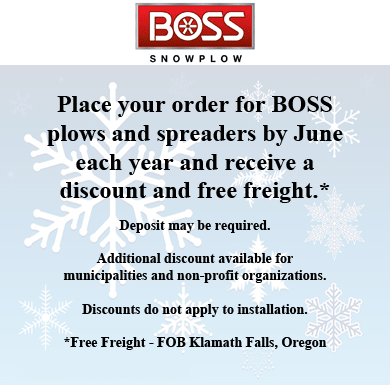 Click here to select your BOSS snowplow. 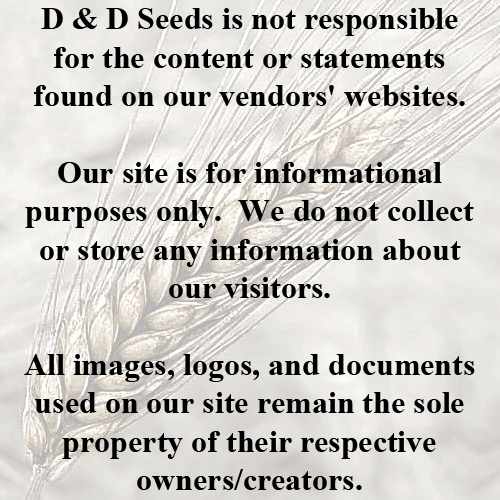 © 2012-17 D & D Seeds and Farm Equipment Sales, Inc.